Wales is known as the land of song, and here in Cardiff we do our best to uphold that reputation. World-class opera … a city-wide, alternative music festival … underground techno and UK bass beats in a converted Victorian tram shed … international pop stars in our arena … drum’n’bass in a bank vault … afrobeat, metal, grime, gay discos … you get the idea. It might not be the biggest in the world, but the Cardiff music scene is lively enough, plus you’ll see the same people out at gigs all the time. Loads of future friends! 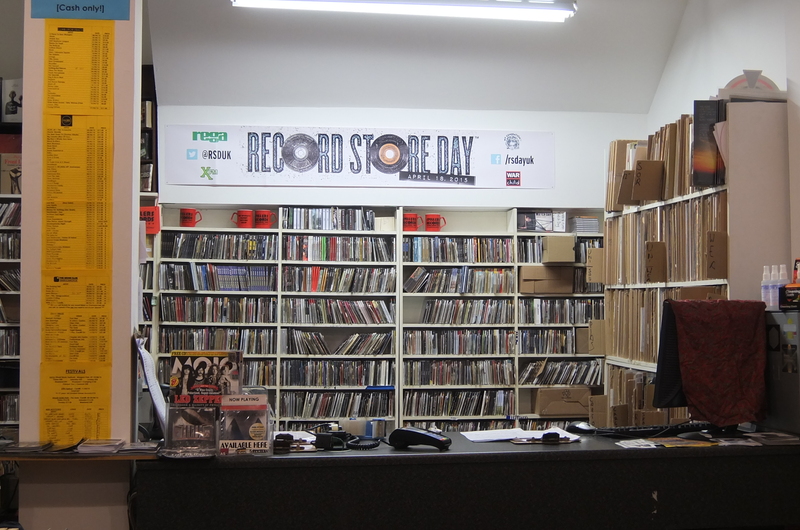 On this page I’ve listed the best places to head to buy records, pick up tickets or flyers and magazines, check out local listings, and talk to friendly staff about what’s going on in the city. The oldest record shop in the world! If you’re a music lover and new in town, Spillers should be your first port of call. As well as a wide range of diverse new and classic releases across all genres, Spillers has a tidy selection of Welsh new music, and they also sell tickets for all local gigs. Spillers t-shirts have become the uniform for the musically-informed across south Wales (and beyond – in the annual Spillers calendar, they feature photos of customers in their tees all over the world). 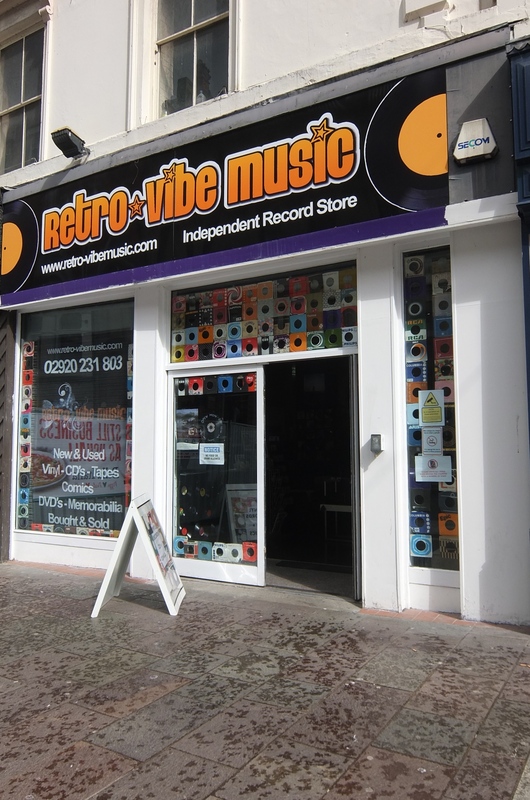 Retro-Vibe is a relatively recent addition to our city centre music seller indies. They sell all sorts of new and pre-owned vinyls, CDs, 78s, posters, gifts, T shirts, comics (they really do have a massive selection of comics and graphic novels), music memorabilia and much more! 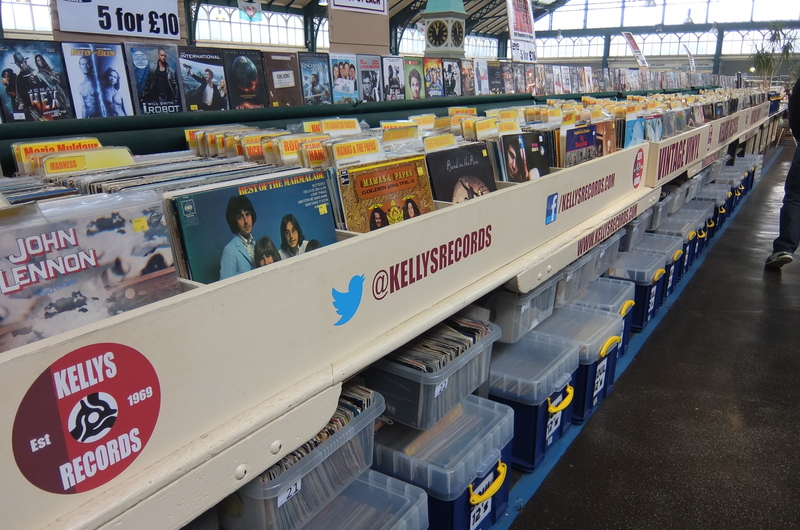 A true old-school favourite, Kellys Records was established in Cardiff Central Market in 1969. Since then they’ve expanded and contracted and expanded again to the present day, where they’re taking over a good portion of the upstairs section of the Market. Kellys has a massive selection of Welsh rarities, alongside loads of used vinyls, CDs and DVDs. If you see the life-size Elvis statue, you’ve found the place. Located in the diddy enclave off Womanby Street, Outpost offers fresh coffee and fresh cuts of wax! The name is somewhat misleading, as there’s way more than just vinyl in here … the shop is a complete tardis, with leaning stacks of CDs, records, cassette tapes and DVDs all over the place. There’s also the odd treasure framed up on the wall, available for a price. I used to live across the road from this record shop, and at the time my house was literally groaning with records … BECAUSE OF HOW AWESOME THIS SHOP IS. This lovely little store is a real hidden gem – there’s no web presence to speak of (I’ve listed the Twitter handle below in case they ever decide to update it again), but it’s a real crate-digger’s paradise. Boxes upon boxes of vinyl – sevens, twelves, 78s, CDs – there’s treasures of all kinds here. There’s often clearance sales with items going for as little as 20p – sometimes even free to a good home. Definitely include this on your record-shopping trail!